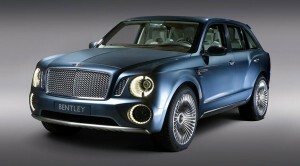 Bentley has revealed plans to add 10 senior staff to its 40-strong marketing team this year. The Crewe-headquartered luxury carmaker says the new roles will facilitate the delivery and launch later this year of its first ever SUV, the Bentayga, as well as future products. “These permanent positions are in areas including digital marketing/digital content management, CRM, retail marketing, market planning, regional positions, and luxury brand management among others,” a Bentley spokesman told Marketing Week. The marketing injection is part of a wider £40m investment to improve the company’s headquarters, which will also see the creation of a new 45,000m research and development centre to house 1,300 engineers.